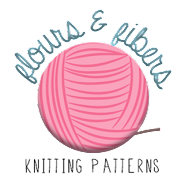 Flours & Fibers: 2nd Annual Fall Knitting Retreat: Hosted by Knit & Knot! 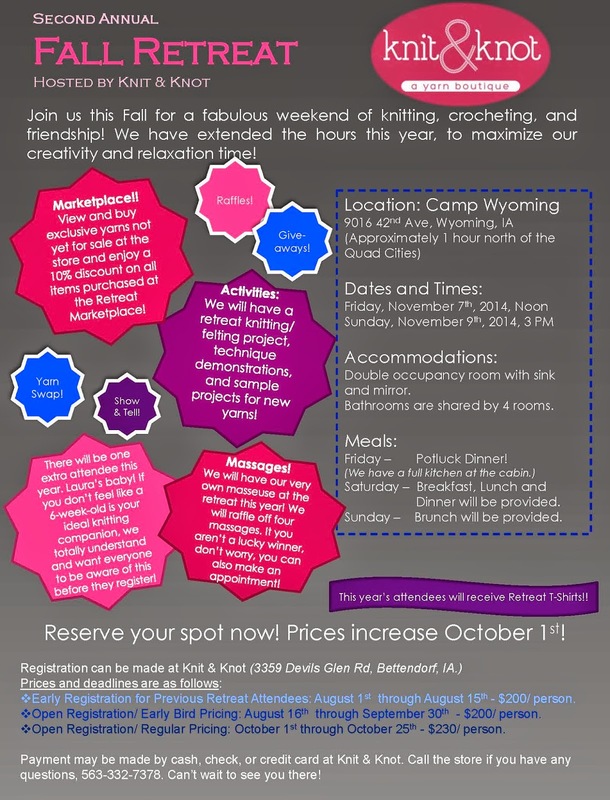 2nd Annual Fall Knitting Retreat: Hosted by Knit & Knot! The time has come to start thinking about the Annual Fall Knitting Retreat hosted by Knit & Knot. Joy and I have been working hard on the details for this year's retreat and we couldn't be more excited! We are returning to the lovely Camp Wyoming for our fall getaway and hopefully the weather will be just as beautiful as it was last year. Now that we have a couple of retreats under our belts, we are taking the most successful components from each retreat and combining them for a fun and relaxing weekend of crafting and friendship. We are also trying a couple of new ideas, such as extending the retreat hours, having a specific retreat project to start and finish(!) at the retreat, and even having special t-shirts printed, just for retreat participants! Another things to look forward to at this year's retreat is the Marketplace, where we will be debuting exclusive new yarns not yet available at Knit & Knot. We will have some samples worked up with the new yarns, as well as suggestions for projects. You can also enjoy 10% off any items purchased at the Marketplace during the retreat. Massages are also coming back! We started this at the spring retreat, and we are happy to report it was a huge hit! Steven has agreed to return as the retreat masseuse. We will be raffling off four (4) massages, and he will be available for additional appointments as well. This was a wonderful addition to our last retreat! We will also continue free technique demonstrations throughout the weekend. Some ideas we've tossed around include: applied I-cord, duplicate stitch, wet blocking (always impressive!) and steam blocking (much faster than wet blocking!). If you have any ideas of techniques you'd like to see demonstrated at the retreat, let us know in the comments below or on Facebook or Ravelry! Of course, raffles, give-aways, a yarn swap and show & tell will continue to be part of the weekend as well! Date: Friday, November 7th, 2014, NOON to Sunday, November 9th, 2014, 3 PM. Cost: $200/ person, for a double occupancy room from now until September 30th. Prices increase to $230/ person on October 1st. Call the shop, 563-332-7378, with any questions. Can't wait to see you there!